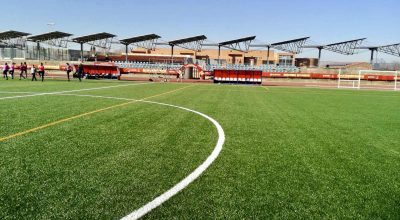 Building an artificial turf pitch is a long-term investment, and a high-quality pitch can maximize the input-output ratio. Let’s take a look at the TOP 20 tips for building the perfect pitch? 1. What makes a great synthetic turf pitch? 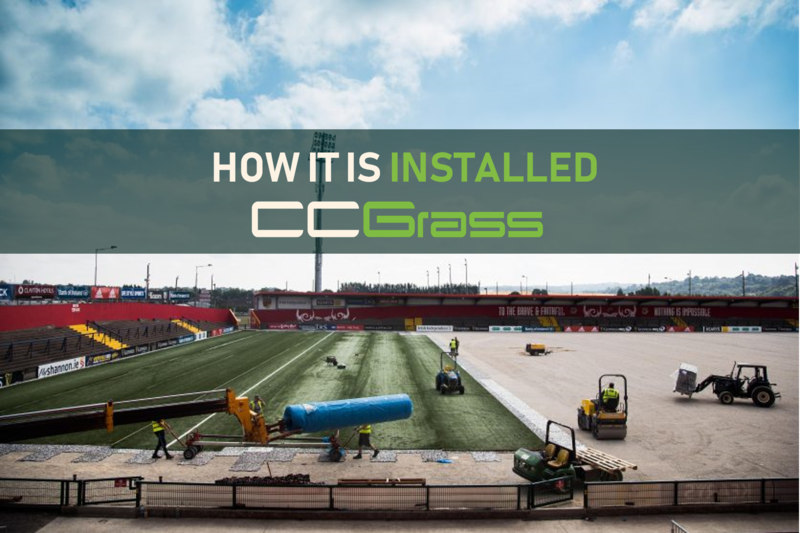 CCGrass, the world’s largest manufacturer of synthetic turf, explains the key components to providing a top artificial grass sports system. Let’s look at the role of the yarn, backing, infill and shock pad, plus the necessity of professional installations and conscientious maintenance to produce the best synthetic turf fields. A synthetic turf surface varies depending upon what sport is played on it. For a better sports performance, the surface has to have plenty of visible fiber and be tested to the appropriate standards. For Football, Rugby, GAA, American Football and Australian Rules, this means using a long pile carpet, made using resilient, durable and skin friendly polyethylene yarns. There are many components that come together to create a top monofilament fibre, including the type of polymer used, the quality of the masterbatch (colour) and additional ingredients including UV inhibitors. 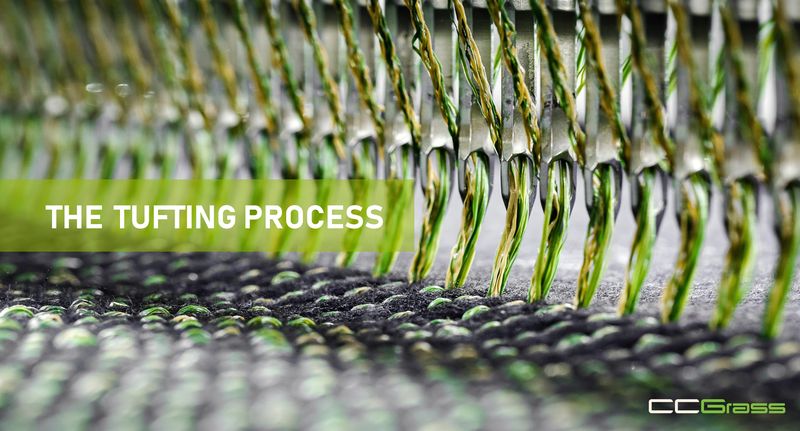 The extrusion process that produces the yarn requires the latest technology and a committed and effective quality monitoring system. Once produced the yarn’s thickness (measured in microns), weight (measured as Dtex), width, shape and colour combination all play a key role in how it will eventually perform. Unlike monofilament fiber, the fibrillated yarn is produced as a wider tape before being semi split (fibrillation) into connected fibers. It has the advantage of being very durable, great at holding infill material in place, but lousy at staying upright. 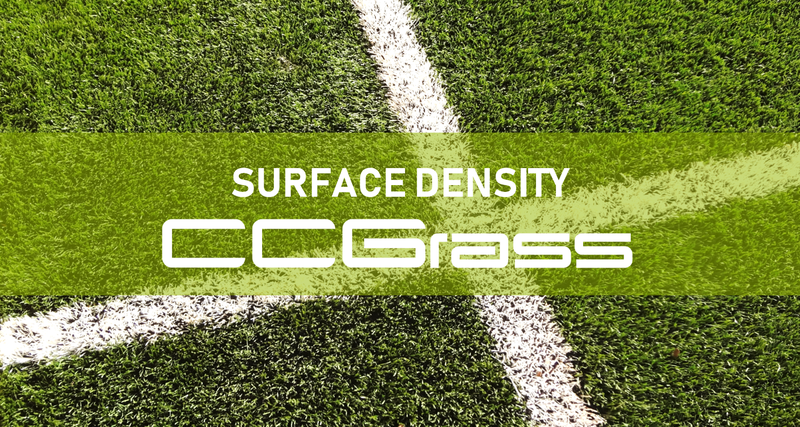 This means that it will flatten down far quicker and can thereby change the characteristics of the artificial grass surface, which is not ideal for top-level football. Its single colour also means it can be less attractive to look at. 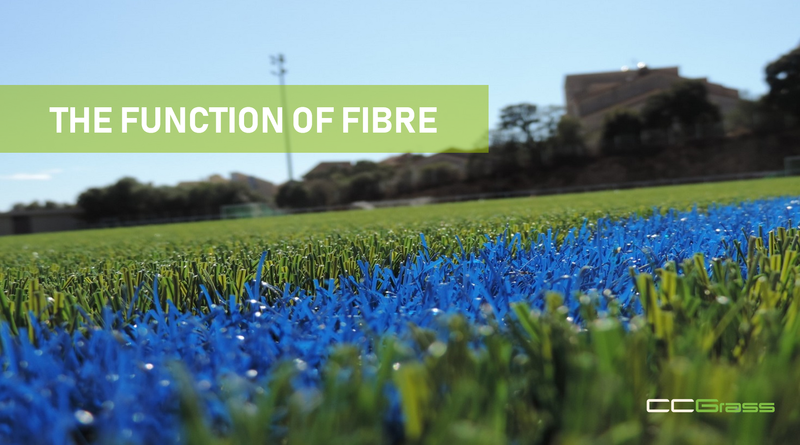 In a synthetic football field of 8,000 sqm, there will be over 900,000,000 individual monofilament fibers, which will combine to create a grass like an appearance, perfect for the sport to be played on. Each fibre should have the ability to withstand wear from the impact of a player, be resilient and able to recover after being flattened and soft to a player’s skin when contact is made. Together the fibres will mimic the highest quality natural turf in performance and appearance but exceed it in usage and life expectancy. In a synthetic turf sport’s field the surface density is important to ensure the correct ball roll, foot to surface interaction and aesthetic appearance. There should always be enough fibre coverage over the infill material within the surface to keep the grass surface green and to reduce any infill splash. 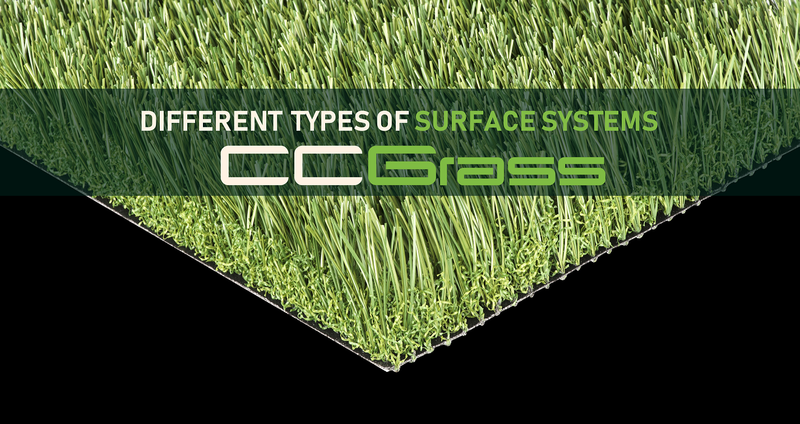 A denser surface is proven to last longer and play better than a more open system. The height of the fibre is determined by the sports to be played on it. For hockey, the pile height is low, 13-18mm, as the ball needs a fast roll on top of the artificial grass surface. For football the height is increased to between 40-60mm, as the ball rolls in the top of the fibre and is expected to slow down within a certain distance. For rugby, the minimum height is 60mm, to allow for player impact. With longer pile heights, the fibre should be 15-20mm above the infill for optimum play. So far, we have looked at artificial grass surfaces using only one type of yarn, be it monofilament or fibrillated, but what happens if you combine yarns? There are three basic options: combine two or three different monofilament yarn shapes together, combine one monofilament yarn shape with fibrillated yarn, or add a texturised yarn (curly monofilament) to a monofilament yarn. 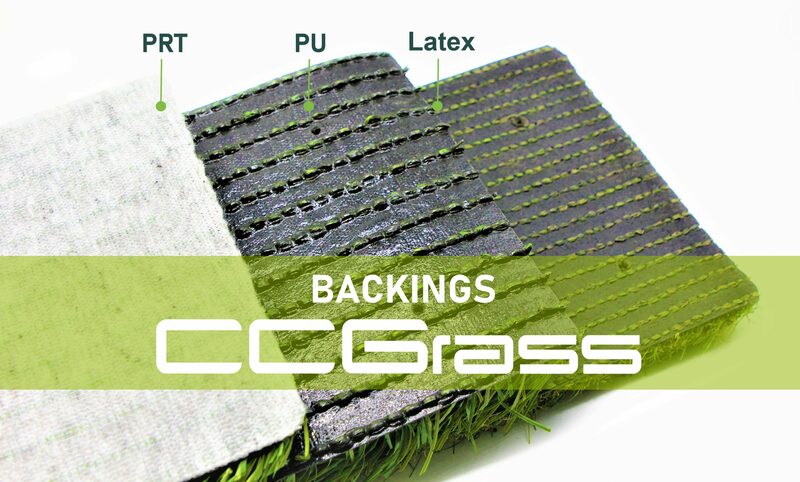 Each adds something special and helps with fibre resilience, surface density, infill stability and product uniqueness. Introduced in the 50’s for lower cost carpet production, adopted by synthetic turf in the 70’s, tufting is by far and away the most successful, effective and commonly used manufacturing process. Simply, several monofilament fibres (normally 6) twisted together or one fibrillated tape is punched through a backing cloth, at a given rate per linear metre, at a spacing between rows, known as the gauge. Once through the fibres are cut to a given length to produce the final fibre height. Generally, the longer the pile height the more open the stitching. The role of the backing is to ensure that the fibres stay where they have been tufted. This means they need to be anchored in place to provide the correct “tuft lock”. There are different systems to choose from – latex, PU or polyolefin. The latter is recyclable and porous throughout, whereas latex and PU require drainage holes to be punched through the backing. The backing also provides the playing surface with extra weight, for stability purposes. 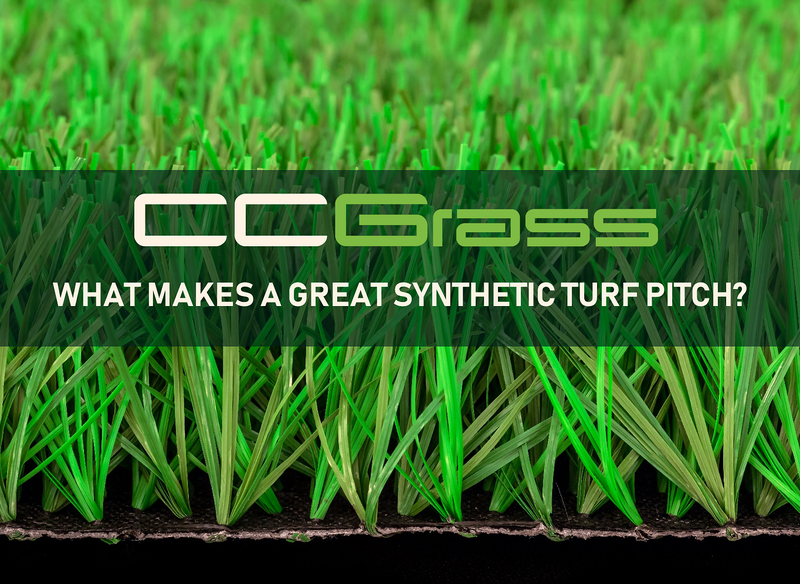 Apart from Global Hockey systems, all synthetic turf requires some infill to make the system work. 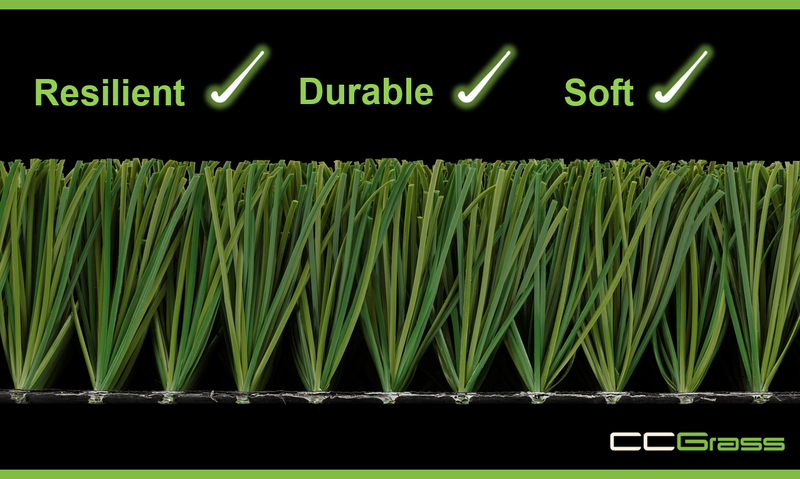 The infill provides weight to help keep the artificial grass surface stable, it helps support the fibre and adds to the sports performance. To date all types of infill have been loose and very porous. At the base of the grass carpet, there is a layer of rounded, graded and clean sand. Onto this the performance infill is added to a depth required to provide the desired sports performance. Again, this should be free draining, within the specified quality and dimensions. The choice of infill is essential to the system’s performance and considerable research has taken place to find an effective alternative to recycled rubber tyre. Why? Well there are the scaremongering and unfounded stories in the press about the safety of SBR, and, of course, the heat and smell can also put people off. Effective alternatives are both expensive and, to date not as good; but developments such as cork can deal with all three concerns and are growing in popularity. Natural turf has a certain “give” when you walk, run or fall on it. Artificial turf systems try to mimic this when meeting the required sports performance. Sometimes this can be achieved by using just a large depth of performance infill, but most authorities and sports consultants will recommend that a pad is used beneath the grass surface to ensure the pitch plays to its best at all times. 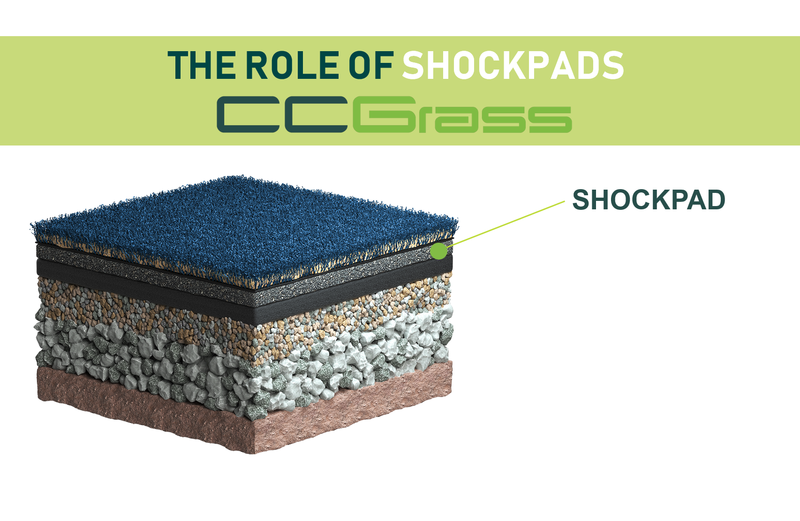 The shock pad will be pre-tested with the proposed surface system and can mean, in the case of football that a lower pile height can be chosen. 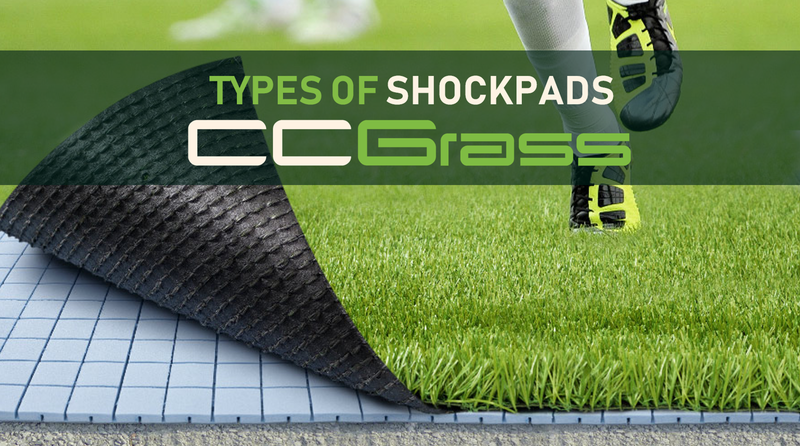 For rugby and hockey, a shockpad is always needed. There are two categories; those pads that are mixed together and laid on site, and those that are factory produced. The former is normally a mix of recycled rubber granules and a binder, laid through a paving machine. Sometimes other materials, such as small stones or plastic can be added to reduce cost whilst enabling the pads thickness to increase. There are several types of factory made pads that all benefit from guaranteed uniformity and can be tailor made to suit different applications. Construction methods vary from country to country, as do the costs, which means a pitch built in the UK is considerably more expensive than in the Netherlands or Spain. But, all pitches have certain factors in common. They must be able to clear water away from the grass surface quickly; either vertically or laterally. They must be even and true, without dips or bumps, although the artificial grass pitch may slope slightly, depending upon the specification. The pitch should also be well compacted to provide a firm base for the shockpad or carpet to be laid upon. They do not, with the exception of Global Hockey, need to use asphalt, unless local conditions require it. 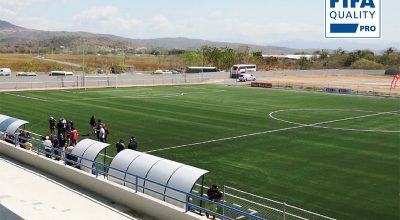 These days there are literally thousands of synthetic turf pitches around the world. Each has a finite surface life, which means there will come a time when the turf surface has to be replaced. This requires uplifting and the disposal of the grass carpet and infill. There are specialist companies that can now separate materials for reuse or recycling. If the original pitch was well built and the shockpad is intact then a new surface can be laid directly onto the current base. Localized dips or problem areas can easily be rectified. A great artificial grass carpet can look very cheap if not laid correctly. In sport, a poorly laid surface can also fail the required field tests. 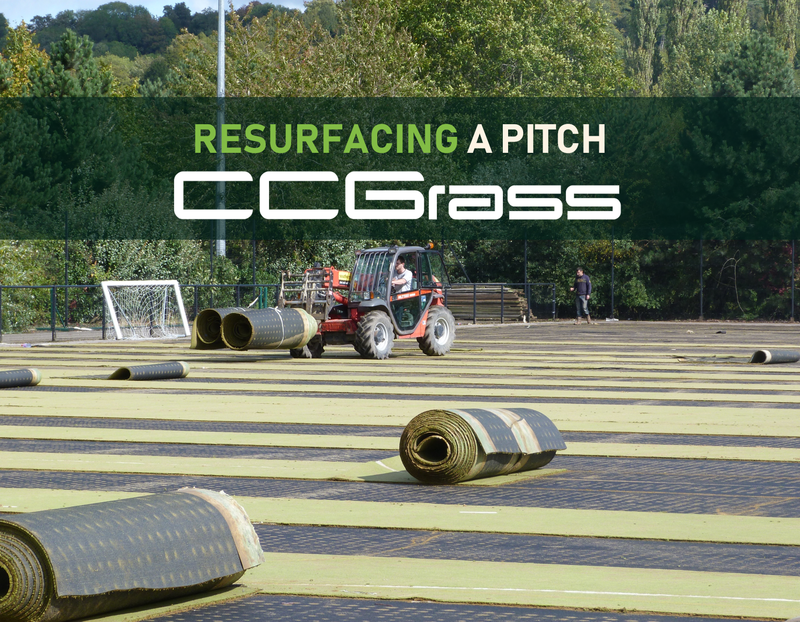 It is essential that an experienced team is chosen to lay the pitch, that follow installation instructions and focus on details. Lines are tufted or cut in, joints are either glued or stitched and the infill carefully applied in layers. The final brushing ensures that the infill sits within the system to the required height and is consistent over the entire field. 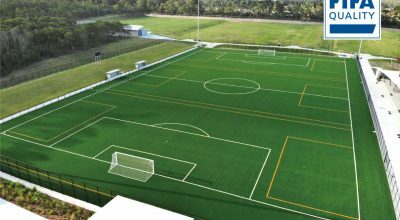 Having invested considerable money into a high-quality synthetic turf field, it is essential that the owner understands how important maintenance is. 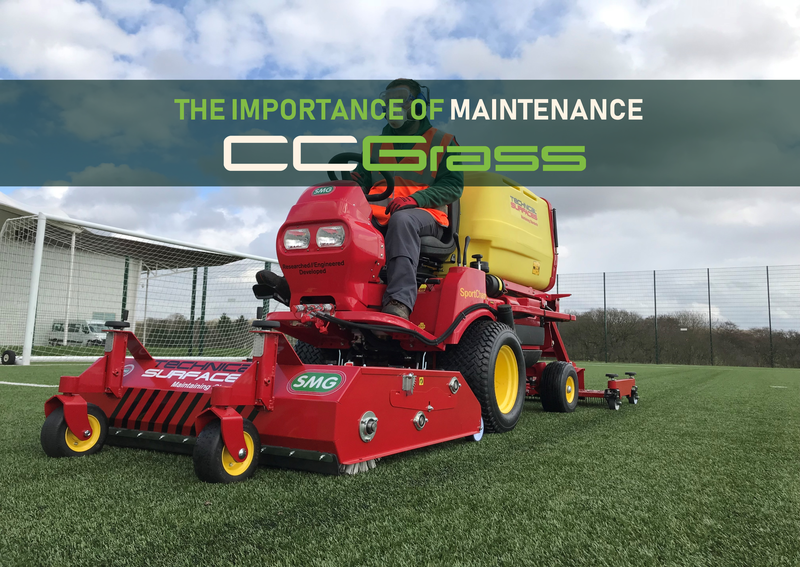 Firstly, no artificial grass pitch is maintenance free and secondly, every field needs regular upkeep to ensure the investment is not wasted and the field´s performance not compromised. Maintenance equipment and a maintenance handbook should be provided with the pitch. Most companies will also offer a training programme for new pitch managers. There are good professional maintenance companies to help with more specific maintenance. 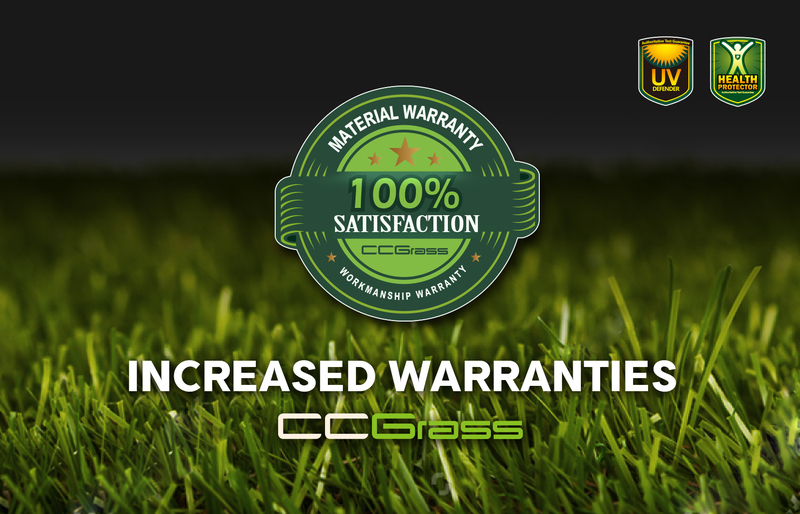 The quality of grass surfaces varies and therefore so will the length of your warranty. Normally, this would cover the materials and workmanship in producing the actual playing surface. Warranties for full size fields normally range between 8 and 10 years, although exceptional yarns may allow the period to extend to 12 years. For smaller areas, such as five a side football, tennis or training, the length of the warranty may reduce. Speak to your installer for specific installation warranties, which can be linked to pitch testing. 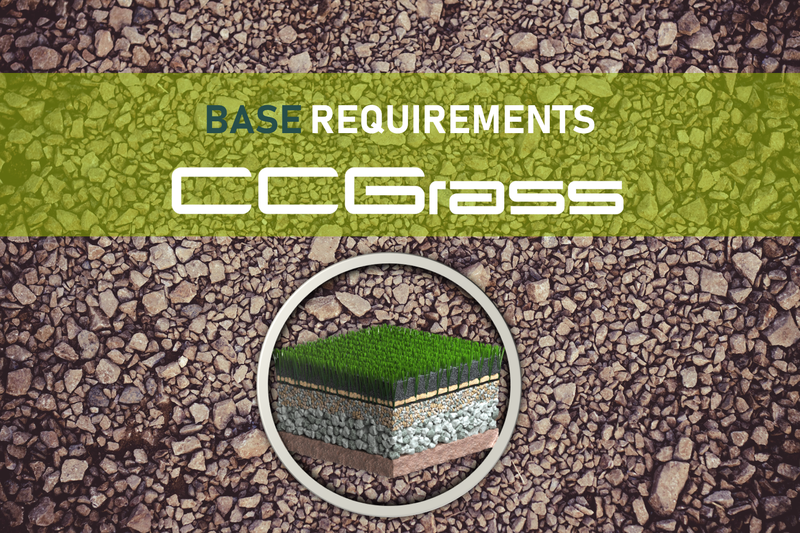 Also note that incorrect use and poor or no maintenance will compromise the warranty of the artificial grass pitch. So, you have your artificial turf pitch. Enjoy it. Look after it. And be ready to replace it when the grass system starts to deteriorate. This will be evident when the pitch fails to meet performance tests, or the appearance is looking jaded. Most likely it will be when users start commenting on how the pitch is playing. 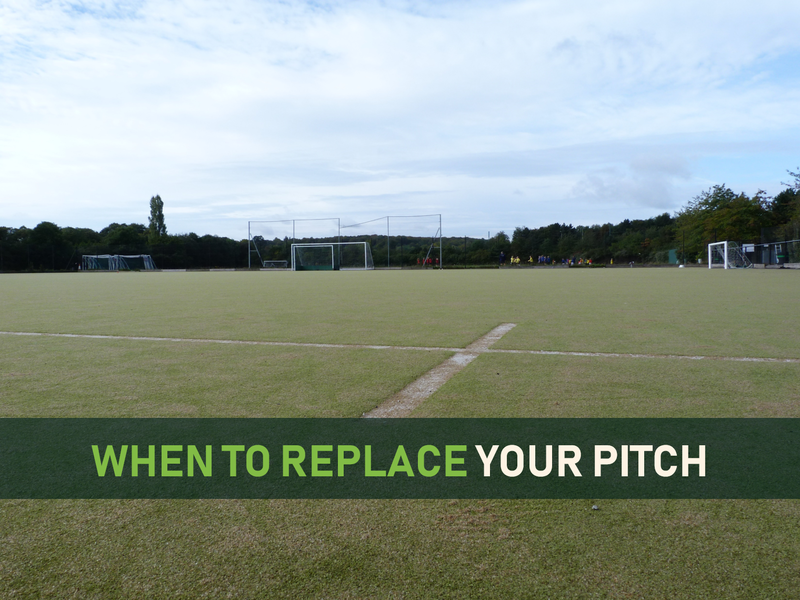 Common faults such as the pitch hardening or the fibre flattening can be temporarily rectified by intense maintenance, but be ready to make the call, in time, before usage drops as players look elsewhere for a better surface. If in doubt, ask for an independent inspection from a pitch consultant or test house.